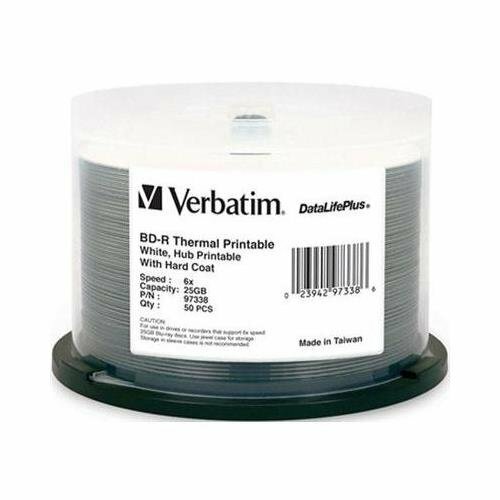 Create high quality, customized labels for your BD-R discs with Verbatim White Thermal Printable Blu-Ray Recordable discs. These discs have been extensively tested for compatibility with Everest thermal printers. With a storage capacity of 25GB, these are one-time record discs, ensuring that your video, music or other information will not be erased. All Verbatim BD-R media features HardCoat™ to protect against scratches, fingerprints and dust build-up, reducing playback and recording errors. BD-R discs are ideal for recording HDTV programs or backing up your music collection.